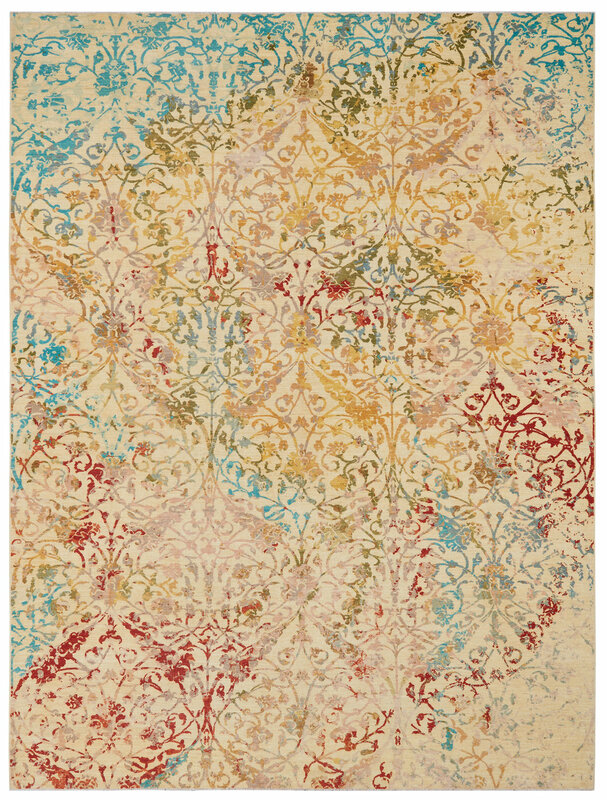 Inspired by Ottoman silk kaftans, this design speaks to the beauty of these amazing textiles. The artist took a traditional design and through careful orchestration of color and design, gave it a modern, playful feel. This creation came to life with the richness as was seen in antique Ottoman kaftans, coupled with an updated color palette and subtle shifts of design elements. Using hand spun, vegetable dyed Ghazni wool, allows for the marriage between new and old, vibrant and somber pallets, which resulted in a transitional beauty.